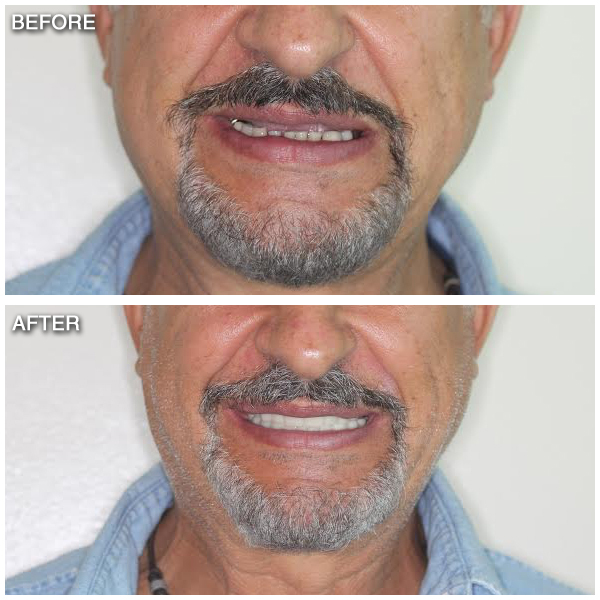 Porcelain veneers are a great option for teeth with permanent stains and discolorations. They can also be used for the correction of minor gaps, chips, spacing and cracks in front teeth. 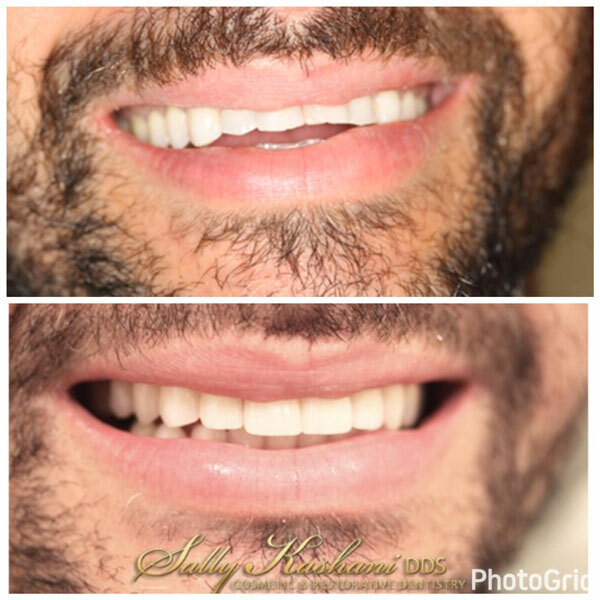 They are very esthetically pleasing and can transform your smile dramatically. Once placed, they are very strong and durable. Veneers are thin layers of porcelain shells that are bonded to teeth. Depending on the case, some veneer placement may require very little or no removal of tooth structure. Custom-made for a unique, comfortable fit! Guaranteed to leave you with a whiter, brighter smile! She utilizes the most advanced bio-compatible materials. She is HIGHLY reviewed on Yelp! Her equipment is constantly updated with the latest advances in dental technology. Easily Hide Flaws In Your Teeth! We are available for cosmetic consults via FaceTime! Dental veneer procedures usually take three appointments to complete, starting with a consultation day. You and your dentist will discuss what you are hoping to accomplish and how dental veneers can help. Your dentist will also check your teeth to make sure the procedure is appropriate for you. X-rays and tooth impressions may be taken during this appointment, as well. 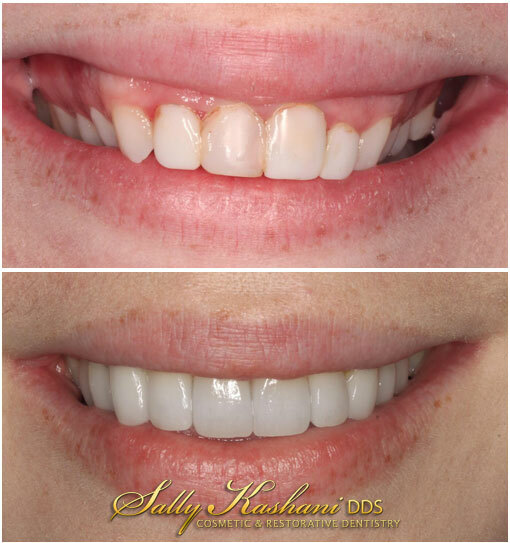 Sometimes a “wax-up” can be on a model of your teeth so you can see the shape of the veneers before the procedure begins. You will also need to consider whitening your teeth before placement of the veneers and shade matching. Preparation for a veneer requires a second visit to the dentist. The most significant step is the removal of a small amount of enamel from the tooth surface. This is done in order for the veneer to fit properly on the tooth and to replace the front layer. Sometimes minimal or no enamel will need to removed but every case is different. Keep in mind that the removal of any amount of tooth surface may increase the sensitivity of the tooth and is completely irreversible. If you have second thoughts about getting a dental veneer, you should tell your dentist before your tooth is permanently prepared for one. Once the front layer of the tooth is reduced, your dentist will make an impression of the tooth to send out to a dental lab. There, your veneer will be created. Your dentist may provide you with a temporary veneer until the real one arrives. The dentist will receive your dental veneer within a week or two, and then it is time to permanently cement the veneer to the tooth. To ensure a comfortable and effective fit, your dentist will trim or adjust the shade of the veneer. When it perfectly matches your teeth in color and shape, your dentist will clean, polish, and etch your tooth, which will give it a strong bonding surface. Your dentist will then apply a special cement and place the veneer on the tooth. The cement is quickly hardened by a beam of light, permanently bonding it to the surface of your tooth. After some cleaning and removal of excess cement, your veneer procedure will be complete. Dental veneers will not last forever and need to be replaced every eight to ten years. They do not require any special care that your natural teeth do not already receive from regularly maintained oral hygiene. Before you decide on veneers, you should first know that the process is irreversible; if you get a dental veneer on one of your teeth now, you will need to wear one for as long as that tooth lasts. If your veneer chips or cracks, it cannot be repaired and may need to be completely replaced. The color of your veneer does not change with the rest of your teeth, so if you plan on whitening your teeth, you should do so before getting a dental veneer placed. Your dentist may recommend another option if your teeth are unhealthy or weak, or if the amount of enamel on your teeth is inadequate for the procedure. The cost of a veneer procedure can range depending on your dental situation, and it may not be covered by insurance. 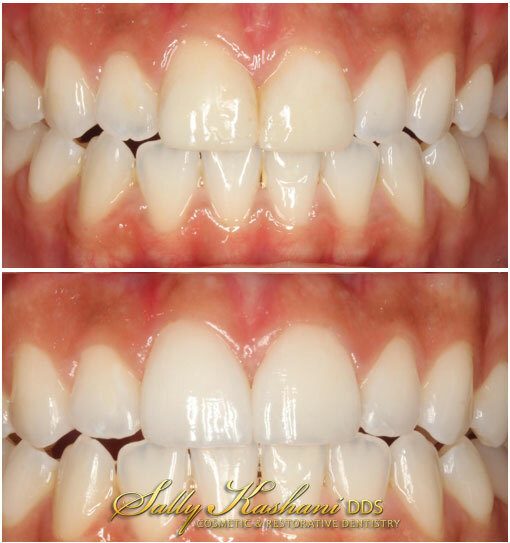 More on Ceramic Veneers.